GSNI Girl Scout Cookie Kick-Off with the Rockford IceHogs! GSNI invites all our Girl Scouts and their families to join us for a Girl Scout Cookie Kick-Off with the Rockford IceHogs on Saturday, December 17! For $15 per person, participants will receive entrance to a Girl Scout Cookie Rally, an IceHogs T-shirt (in Girl Scout green) and a ticket to the IceHogs game following the rally! Registered Girl Scouts will also take part in activities to earn the 2012 Cookie Activity Pin, while family members can watch a cool cartoon on the jumbotron and snack at local vendors before the big game! Cookie-learning activities for girls will be from 2–4:45 p.m. with the cookie rally from 5–5:45 p.m. 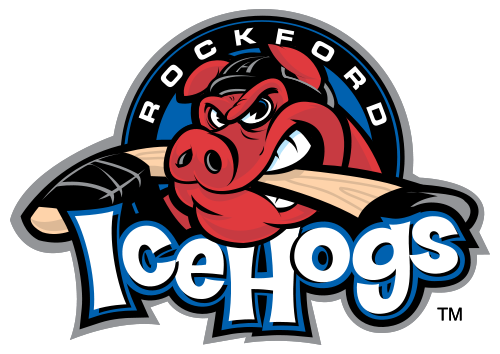 Doors to the IceHogs game will open to the public at 6 p.m., and the game will start at 7 p.m. Registration deadline is this Friday, December 2! Please contact Ryan Woodrow at 815-847-6383 or download and fax this flier to 815-380-6432 to register. Tickets will be mailed or held at the door. For more information, please contact Meghan at 800-925-3327, Ext. 7148.